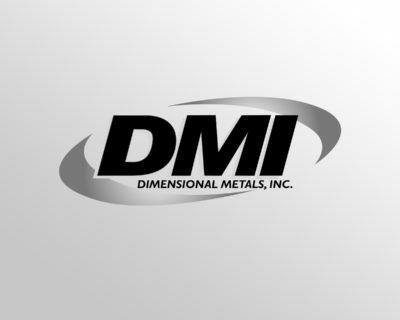 Terms and Conditions of Sale - Dimensional Metals, Inc. Dimensional Metals, Inc.
1. TERMS EXCLUSIVE: This document, including the terms and conditions on the reverse hereof, constitutes the complete, exclusive and ﬁnal agreement of the Buyer identiﬁed herein (“Buyer”) and Dimensional Metals, Inc. (“Seller”) and may not be added to, modiﬁed, superseded or altered except by written agreement or modiﬁcation signed by Seller’s authorized representative notwithstanding any other, additional or modifying terms or conditions which may now or in the future appear on Buyer’s acknowledgment or other forms (all of which are objected to by Seller without future notiﬁcation), and notwithstanding any shipments, tenders of delivery, acceptance of payments, or other similar acts of Seller. Buyer’s acceptance of any performance by Seller shall be taken as Buyer’s acceptance of these terms and conditions. Any reference to Buyer’s order or other communication is for convenience only and not an incorporation of the terms thereof. Buyer’s assent to these terms and conditions shall be conclusively presumed from Buyer’s (1) instructing Seller to begin work or ship any of the Goods; (2) acceptance of or payment for all or any part of the Goods, or (3) taking any other action evidencing Buyer’s acceptance of the benefits of the agreement between the parties. BUYER AND SELLER AGREE THAT THESE TERMS AND CONDITIONS ARE ACCEPTED IN GOOD FAITH BY BOTH PARTIES AS THE CONTROLLING AND FINAL TERMS AND CONDITIONS. NO PERSON (EXCEPT AN OFFICER OF SELLER) IS AUTHORIZED TO BIND SELLER TO ANY ORDER EXCEPT ACCORDING TO THE TERMS AND CONDITIONS ON BOTH SIDES HEREOF. 2. DELIVERY: Unless otherwise agreed in advance in writing by Seller, delivery of the goods and services, if any, speciﬁed herein (“Goods”) shall be F.O.B. point of shipment. Acceptance of shipment by a common carrier, or designated shipper, or licensed public truckman, allocation of Goods to Buyer at premises other than Seller’s delivery to Buyer’s representative or designee (if Seller’s trucks and drivers effect such delivery), or mailing of an invoice by Seller to Buyer, whichever of the foregoing ﬁrst occurs, shall constitute tender of delivery. Upon tender of delivery, title shall pass to Buyer, subject to Seller’s rights of stoppage in transit and to any interest of Seller reserved to secure Buyer’s payment or performance. In the instance of Goods held subject to Buyer’s instructions, goods for which Buyer has failed to supply shipping instructions, or in any case where Seller, in its sole discretion, determines any part of the Goods should be held for Buyer’s account, Seller may invoice the Goods and Buyer agrees to make payment at the maturity of the invoice so rendered. Goods invoiced and held at any location, for whatever reason, shall be at Buyer’s risk and Seller may charge for (but is not obligated to carry) insurance and storage at prevailing rates. Partial deliveries shall be accepted by Buyer and paid for at contract prices and terms. When Buyer has declared or manifested an intention not to accept delivery in accordance with any order, no tender shall be necessary but Seller may, at its option, give notice in writing to Buyer that Seller is ready and willing to deliver and such notice shall constitute a valid tender of delivery. ACCEPTANCE OF THE PRODUCTS OR SERVICE ITEMS BY BUYER UPON DELIVERY SHALL CONSTITUTE A WAIVER BY BUYER OF ANY CLAIM FOR DAMAGES ON ACCOUNT OF DELAY IN DELIVERY OR PERFORMANCE. 3. FORCE MAJEURE: Delivery of all or any part of the Goods is contingent upon Seller’s ability to obtain Goods, supplies, raw materials and services through its regular and usual source of supply. If by reason of any contingency beyond Seller’s control, including (but not limited to)war, governmental requests, restrictions or regulations, ﬁre, ﬂood, casualty, accident, or other acts of God, strikes or other difﬁculties with employees, delay or inability to obtain labor, equipment, material and services through Seller’s usual sources, failure or refusal of any carrier to transport materials, delay in transport thereof, or any other similar occurrence, Seller is not able to meet anticipated deliveries, Seller shall not be liable therefor and may, in its discretion without prior notice to Buyer, postpone the delivery date(s) under order for a time which is reasonable under all the circumstances. If during the occurrence of any of the foregoing contingencies, Seller holds any of the Goods, Seller may invoice and hold the same for the account of Buyer and Buyer agrees to make payment at the maturity of the invoice so rendered. 4. INSPECTIONS. ACCEPTANCE AND RETURNS: Each case, carton or package shall be inspected by Buyer for observable damage and/or non-conformity at the time of delivery of the Goods. Failure to so inspect shall constitute a waiver of Buyer’s rights of inspection and shall constitute an unqualiﬁed acceptance of the Goods. If, after such inspection, Buyer attempts to reject any Goods. Buyer shall fully specify all claimed damage or nonconformity in a notice of rejection sent to Seller within ten days of Buyer’s receipt of the Goods. Buyer’s failure to so specify shall constitute a waiver of that damage or nonconformity. No Goods shall be returned to Seller without Seller’s prior written agreement. Goods returned by Buyer shall be returned in the same condition as when delivery was effected by Seller. Buyer will owe Seller, payable on demand, a restocking charge of 15 percent for Goods returned for reasons other than Seller caused damage or non-conformity. 5. PAYMENT. SECURITY. INTEREST: If the terms of payment include any discount for prompt payment, such discount terms shall be strictly enforced by Seller. If there is no speciﬁc contrary agreement upon terms of payment stated on the front of Seller’s invoice, payment shall be due and payable in one installment upon delivery. Any payment not made to Seller on time shall be subject to the service charge speciﬁed herein on the unpaid balance until paid. Seller reserves a security interest in the Goods to secure Buyer’s payment of the purchase price and any other charges owed by Buyer and Buyer agrees that Seller may (but is not obligated to) take such action as Seller deems advisable to evidence and perfect such interest and that Buyer will cooperate with Seller in the taking of such actions, including without limitation the signing by Buyer of ﬁnancing statements. Checks or payments, whether full or partial, received from or for the account of Buyer, regardless of writings. Legends or notations upon such checks of payments, or regardless of other writings, statements or documents, shall be applied by Seller against the amount owing by Buyer with full reservation of all Seller’s rights and without an accord and satisfaction of Buyer’s liability. Seller assigns to Buyer any and all warranties which are made by the manufacturers and suppliers of the Goods and which are assignable, but Seller makes NO REPRESENTATIONS as to the effectiveness or extent of such warranties and assumes NO RESPONSIBILITY for any matters which may be warranted by such manufacturers or suppliers. Buyer (i) recognizes that the provisions of this paragraph are a material factor in Seller’s sale of the Goods at the price speciﬁed, and (ii) agrees that any accommodation to Buyer by Seller, whether for sales policy reasons or otherwise, shall not be taken to establish any liability of Seller or any contract term inconsistent herewith. Seller’s warranties, if any, are given only to purchasers who buy for resale or for industrial or commercial use. 7. STATUTORY COMPLIANCE: Seller certiﬁes that the Goods produced by it, if any, were produced in compliance with all applicable requirements of the Fair Labor Standards Act of 1938, as amended, and the Regulations and Orders of the Administrator of the Wage and Hour Division issued under Section 14 thereof. Seller continues to attempt to comply with all applicable Ohio and federal laws. However, Seller is not responsible for compliance with any laws or regulations applicable to the Goods, or with any production standard or speciﬁcation, whether of general or particular application, unless Buyer has furnished speciﬁc written notice thereof prior to Seller’s entry of Buyer’s order. 8. PRODUCT LABELS, INFORMATION: Buyer acknowledges that it has received and is familiar with Seller’s and any manufacturer’s labeling and literature concerning the Goods and will forward such information to its employees, agents, and customers. 9. PERMISSIBLE VARIATIONS: Seller has the right prior to the delivery of Goods to Buyer to make any changes in the composition or fabrication of the Goods which, in the opinion of Seller, do not affect the general characteristics or properties of the Goods without the giving of notice to Buyer. In addition, Seller may make any change or any variation in the Goods, whether of quality or quantity, which is within governmental or professional standards or speciﬁcations applicable at the time of manufacture without the giving of notice to Buyer. Buyer will accept any Goods which may incorporate any changes in the composition or fabrication of speciﬁcations, and an increase in price resulting from such change will be for the account of Buyer. 10. PRICES: All prices of the Goods are subject to change or withdrawal without notice. Unless otherwise stated by Seller, prices and pricing policies will be those set forth in Seller’s published price lists or Seller’s pricing policies in effect at the time of shipment. In the event Buyer’s order is changed in any respect (if and when permitted by Seller), Seller may adjust the price accordingly. Unless otherwise speciﬁed herein, prices are exclusive of applicable taxes, excises, duties, quotation fees or other governmental impositions which Seller may be required to pay or collect under any existing or future law and any such applicable taxes, etc., shall be paid by and/or for the account of Buyer. 11. CANCELLATION: Seller may cancel all or part of the contract arising from or evidenced by any order immediately upon the happening of any of the following: insolvency of Buyer; the appointment of a custodian as that term is deﬁned in Title 11 U.S.C., as amended (the “Bankruptcy Code”), or the commencement of a case under any chapter of the Bankruptcy Code for, by or against Buyer; Buyer’s suspension or termination of business or assignment for the beneﬁt of creditors; or any event, whether or not similar to the foregoing, which materially impairs Buyer’s ability to perform its duties. Seller’s rights to cancel or postpone set forth herein may be exercised by Seller without liability. 12. SALE BY AGENT OR REPRESENTATIVE AND REPRESENTATIONS THEREBY: The terms in this document shall govern the liability and obligations of Seller in regard to this transaction, whether the sale was procured directly by Seller or indirectly through an authorized sales representative. No agent, employee or representative of Seller has any authority to bind Seller to any additional or contrary afﬁrmation or representation concerning the sale of Seller’s Goods. Unless an afﬁrmation or representation is speciﬁcally included within this document or is in writing signed by an ofﬁcer of Seller, it shall not be enforceable by Buyer or by any person claiming by or through Buyer. 13. INDEMNIFICATION: Buyer agrees to indemnify, defend and hold harmless Seller, its directors, officers, employees, agents, successors and assigns from and against any and all damages, losses, expenses, costs (including without limitation reasonable attorney’s and accountant’s fees), claims, suits, actions, judgments or other liability asserted against or incurred by Seller arising out of (a) Buyer’s breach of its obligations hereunder (b) Buyer’s negligence or misconduct, or (c) Buyer’s misuse or misapplication of the Goods or Service Items or damage to the Goods or Service Items caused by Buyer or its employees, agents or customers. 14. GOVERNING LAW; FORUM SELECTION. This Agreement shall be governed by, construed, and enforced in accordance with the laws of the State of Ohio, without regard to conflict of laws principals. Buyer, acting for itself and its successors and assigns, hereby expressly and irrevocably consents to the exclusive jurisdiction of the state of federal courts having authority over the territory of Franklin County, Ohio, for any litigation which may arise out of or be related to this Agreement or the purchase or use of the Goods or Services. Any action brought in any such court may not be transferred or removed to any other court. Buyer waives any objection based upon forum non-conveniens or any objection to the venue of any such action. 15. MISCELLANEOUS: All sales are subject to the approval of Seller’s credit department. Orders entered on Seller’s books cannot be countermanded or deliveries deferred except with Seller’s written consent and upon terms that will indemnify Seller against all loss. The contract arising hereunder will be governed by the local laws of the State of Ohio. If any of the provisions hereof shall be held invalid, illegal or unenforceable, the validity, legality, and enforceability of the remaining provisions shall in no way be affected or impaired thereby. The individual rights and remedies of Seller reserved herein shall be cumulative and additional to any other or further remedies provided in law or equity or in this document. Waiver by seller of performance or breach of any provision hereof by Buyer, or failure of Seller to enforce any provision hereof which may establish a defense or limitation of liability, shall not be deemed a waiver of future compliance therewith or a course of performance modifying such provision, and such provision shall remain in full force and effect as written. As used herein, “Buyer” and “Seller” include the respective heirs, executors, personal representatives, successors and permitted assigns each.